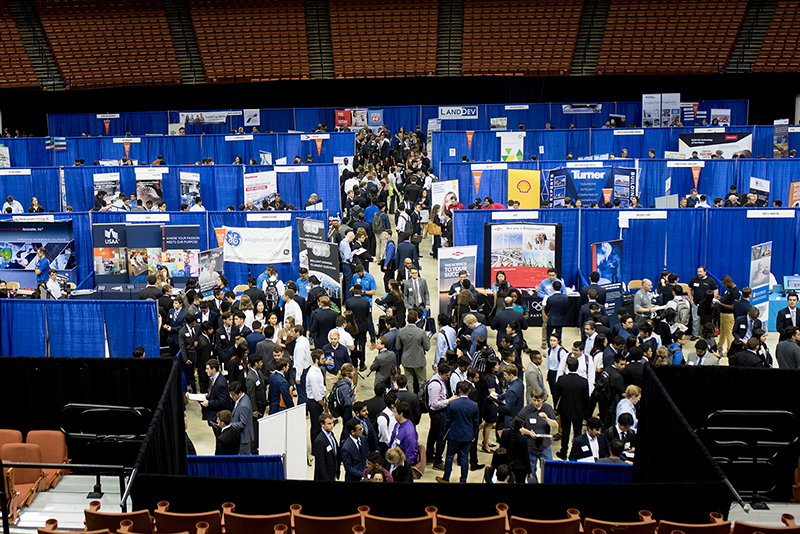 The Cockrell School of Engineering holds career fairs each academic year, offering students and employers beneficial interactions and connections. Fall Expo, a student-run career fair hosted by the Student Engineering Council, takes place in late September and is considered the first official event of the fall recruiting season. Spring Expo, hosted by the Engineering Career Assistance Center, takes place in late January/early February. Additionally, the Graduate and Industry Networking event for current graduate students takes place in early February, and the industry-specific Bioscience and Biotechnology Career Fair takes place in the fall.